Each year, the "Aloha State" welcomes millions of visitors from all over the world. Some even come to Hawaii on vacation and decide to stay after realizing the isolated islands have more to offer than a temporary escape. From beaches to nightlife, local foods to the generous doses of sunny skies, Hawaii offers the GLBT community a unique variety of activities that will have them coming back for more, if not staying altogether! Oahu, home to most of Hawaii's population, is the best island for visitors looking to pack the most tourist punch into a short amount of time. 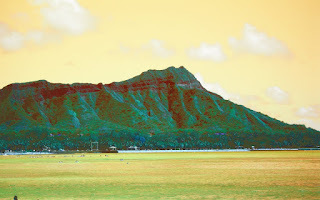 For the most concentration of Hawaiian GLBT life, for instance, you really don't need to leave Honolulu's tourist Mecca: Waikiki! You can get a local beach outing, authentic Asian/Pacific cuisine and international designer shopping experience all in one day.